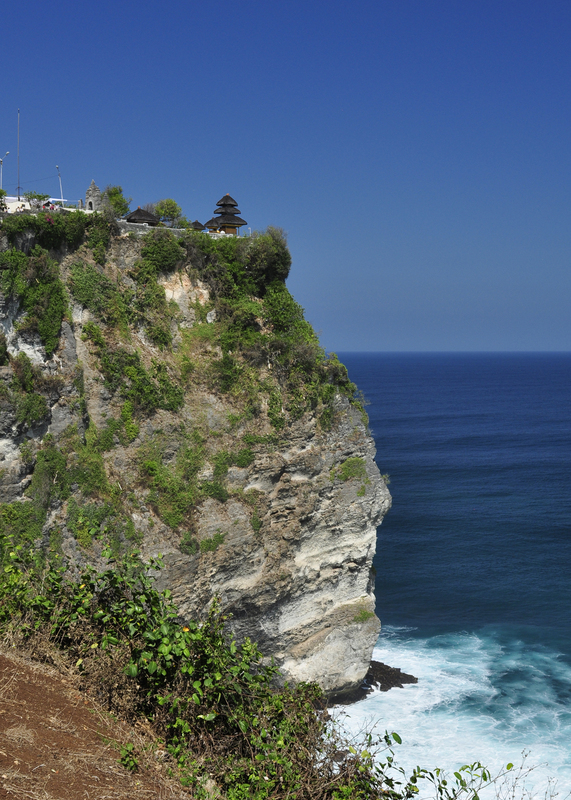 Perched 70m above the water atop the impressive limestone cliffs of the south western tip of Bali is Pura Luhur Uluwatu also known as Uluwatu Temple. The temple itself, whilst impressive enough, is dwarfed by the splendor of its location and although we visited during the day it is apparently best visited at sunset when the sky and ocean are set afire by the waning sun. On arrival at the site, it is important to be properly attired and anyone with their knees uncovered and their shoulders bare will be required to borrow one of the sarongs and belts from the gate. Entry to the park was a fee of around 20,000 IDR (about US$2) but beware of the “monkey scarers”. We were nearly charged an additional 100,000 IDR for someone to protect us from the monkeys and it was made to sound like this was a required service – not optional. The monkeys which live in the area are pretty bold but our family really had no issues with them but there was a family with small children there when we arrived and before they had left the car park one of the monkeys had stolen the flip-flops off the feet of their young son who I guessed to be about 5. Given the monkeys are there I strongly advise against taking any food with you from your car as this could lead to unwanted attention. Once through the gates walk along the impressive cliffs taking in the views and head up to the temple at the highest point in the complex. 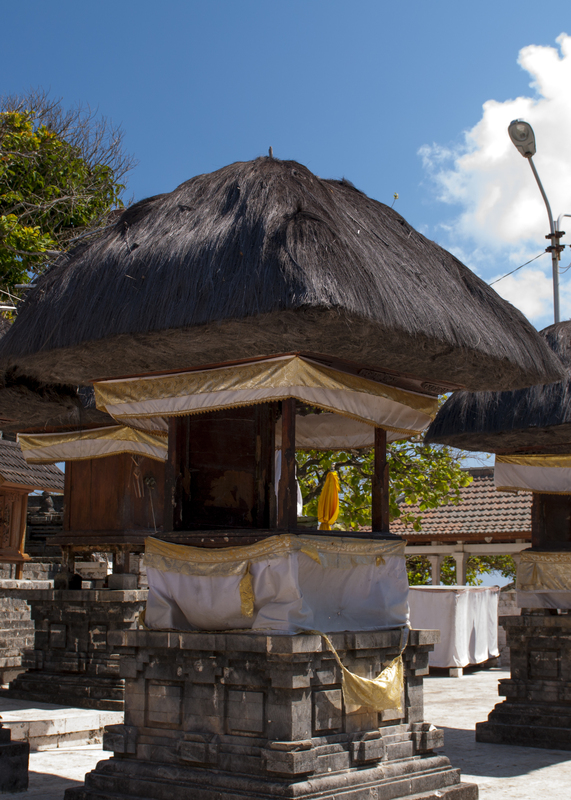 As with all Balinese temples that we came across, you will not be able to access the actual temples themselves but you will be able to walk around and look into them from the gates. 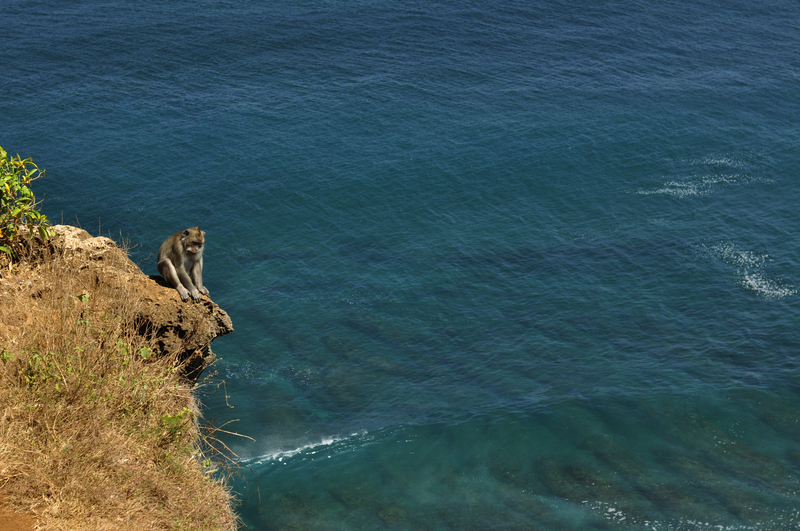 All in all this is well worth the visit, watch out for monkeys and take your head for heights with you.